Home » » Do you have work experience? 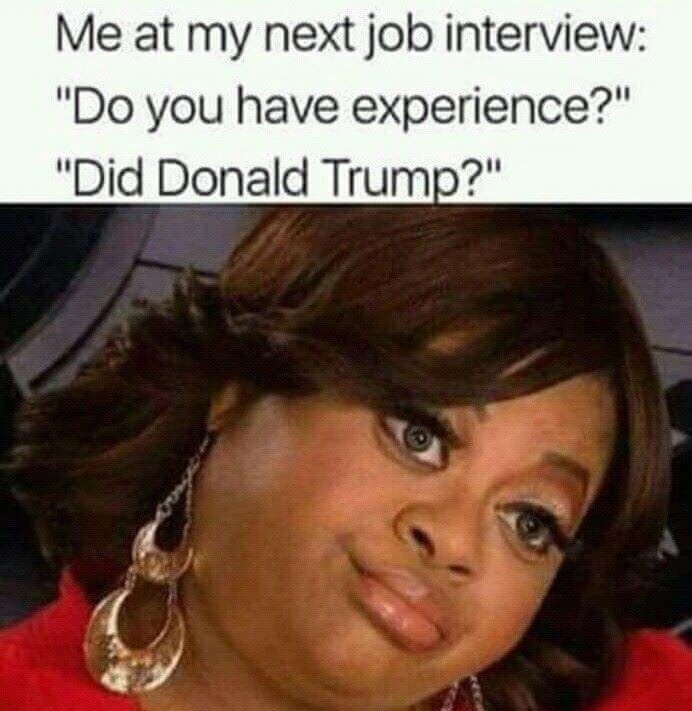 Me at my next job interview: Do you have experience? Did Donald Trump?